It’s that time of the day again when we look to bring you some of the best tech deals that we can find, directly to your display for you to benefit from. 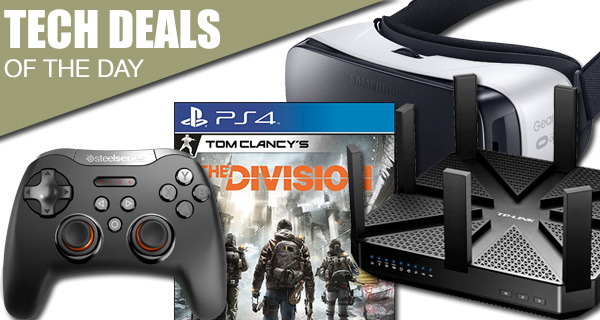 If you’ve been looking to add to your technological arsenal, but don’t want to part with a ton of cash, then our tech deals may be ideal for you. But remember, if you see something that you are interested in, make sure you act fast before they are gone. 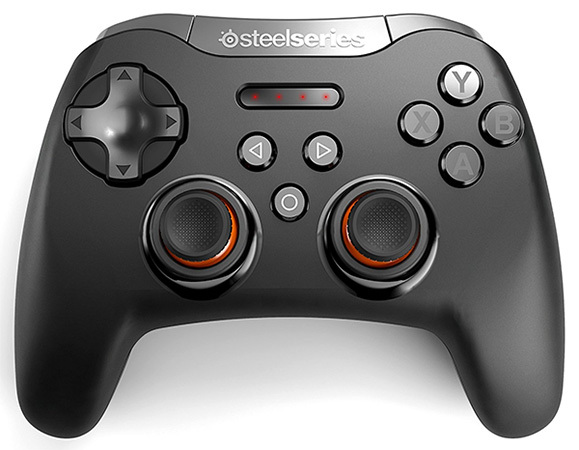 Let’s start off with a wireless gaming controller from SteelSeries that can be paired up with a PC, Mac, Apple TV, iPhone, Android and more. 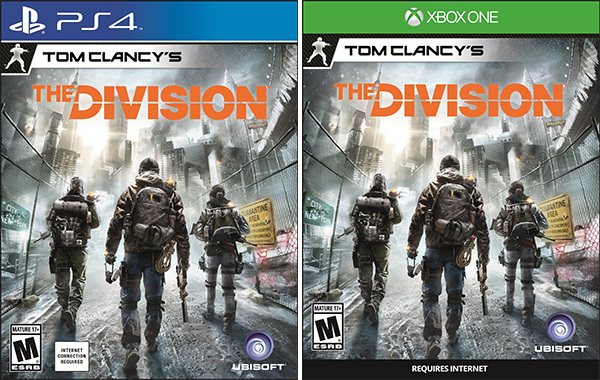 Speaking of games, how about getting your hands on Tom Clancy’s The Division FPS game for the PS4 or the Xbox One? That too at an awesome $35 reduced price! We’ve gone through budget VR headsets before, but how about one from Samsung this time? 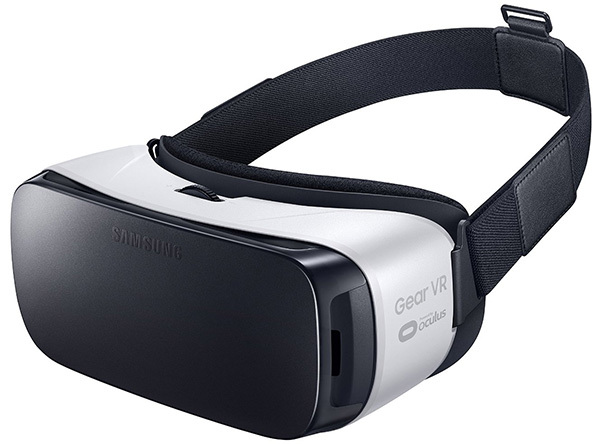 The Gear VR headset from the Korean company is compatible with a range of its Galaxy Note and S series handsets. 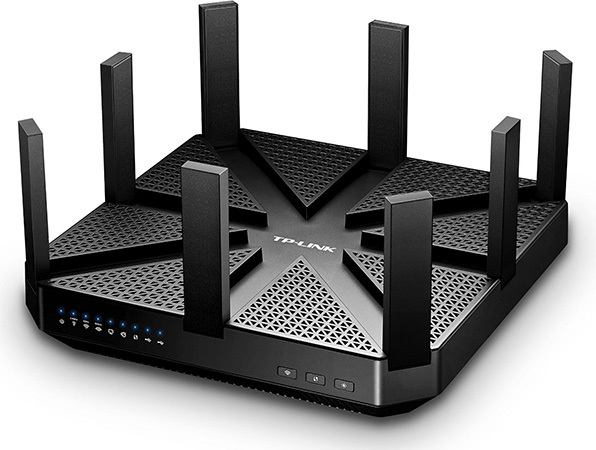 Last but not the least, if you are in need of a monstrous Wi-Fi router, and are in no mood to battle the lack of signals around your office or home, the TP-Link tri-band router comes in with a massive $69 discount. As always, the deals listed here are time sensitive and are also subject to stock levels. So if you wish to grab an item from here, you best act quickly before the offer expires. So what are you waiting for? Draw out that credit card and enjoy the savings! Individuals looking to get involved in the world of augmented and virtual reality could be forgiven for thinking that the cost involved in such a thing is extremely prohibitive. And in some cases, for some hardware, they could be correct. However, for those looking to just consume and interact with virtual reality content via a smartphone, this fantastic Samsung Gear VR headset is a relatively inexpensive way of experiencing VR via quality hardware. It’s compatible with select versions of Samsung’s own Note and S series of phones. If it comes with Tom Clancy’s name attached to it, then the chances are that gamers are going to be taken on one hell of a ride. Whether it be Xbox One or PlayStation 4, The Division is a living, breathing environment that can be used to the gamers advantage to dominate fights and brush the enemy. At this price, it’s really a no brainer for anyone looking for advanced entrainment on their console. If you listen to the experts, then the prediction is that the majority of video gaming will take place on mobile and set-top box devices in the coming years. You may not be ready to get rid of the Xbox One PlayStation just yet, but there’s no harm in getting one of the best Bluetooth gaming controllers for mobile devices in preparation for that switch. When it comes to this type of tech, SteelSeries is considered one of the best. This particular controller is also compatible to work with PCs, Macs, Android, and even VR headsets like the HTC Vive, Oculus and Samsung Gear VR. Make sure you use the following promo code at checkout to grab the controller for just $39: PAXWEST20. It’s probably fair to suggest that no one would actually complain about being able to benefit from an increased Wi-Fi signal around the home or workplace. This tri-band gigabit router from TP-Link can give that, as well as allowing multiple devices to connect to a single network with seamless, smooth experience. It may not be the best looking router you’ve ever seen, but it’s sometimes about performance and not visuals. Make sure you use the following promo code at checkout to grab the router for just $274: PAXWEST20.